​Spectacular photo shoot was sent us by David and Pedro bros. We met them in the Vision of the Future Event that was organized by Massey Ferguson in Beauvais Town (France) in August and since we met them we shared a lot of comments about agriculture. They are two young farmer who work in their family farm with their father. 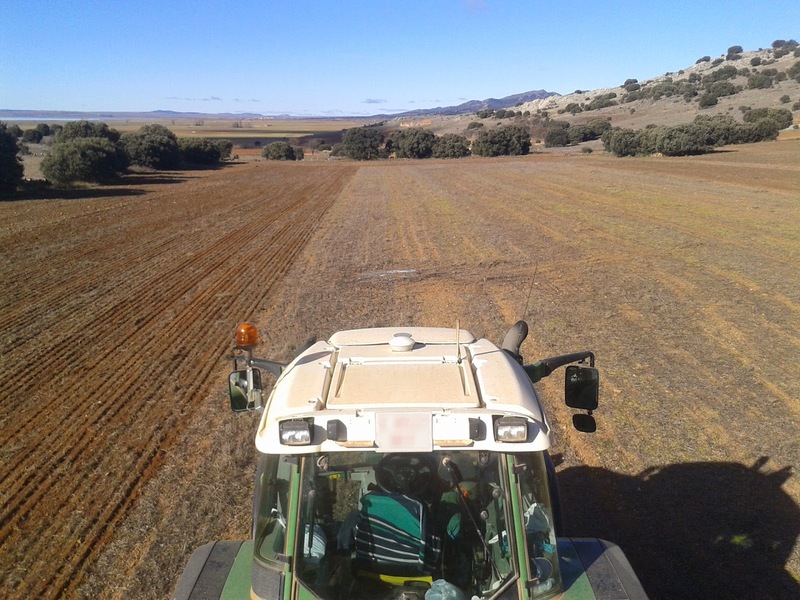 They have a really good farm in their Village in the Teruel area and they work with the best machineries you can find in the market (Claas Lexion and Dominator combine harvesters, Fendt, New Holland and Case IH tractors, Solá and Amazone seed drills, Gili trailers, Trimble EZ-Pilot assisted steering system, Cleris spreader, Kverneland plogh, Agromet chissel and Gil cultichissel,...). 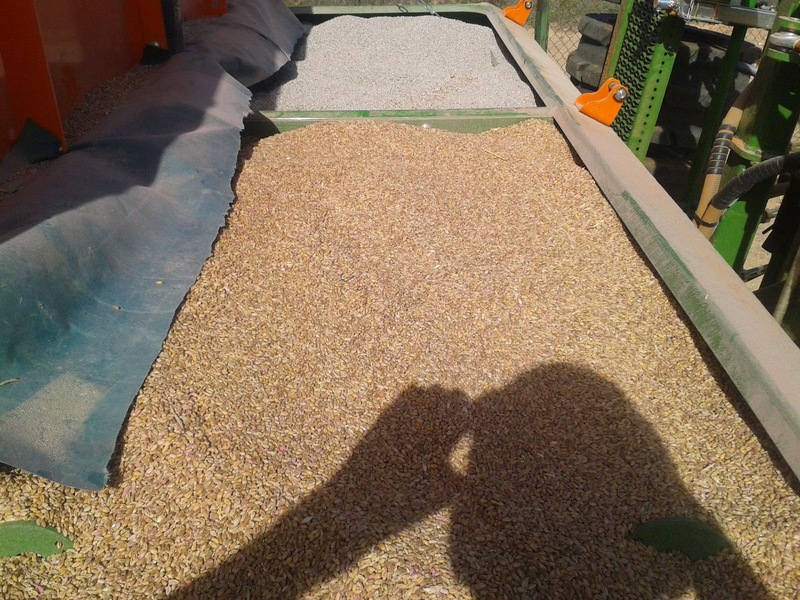 At this time, we show you pictures about direct seeding was carried out by them in the half of their farm. 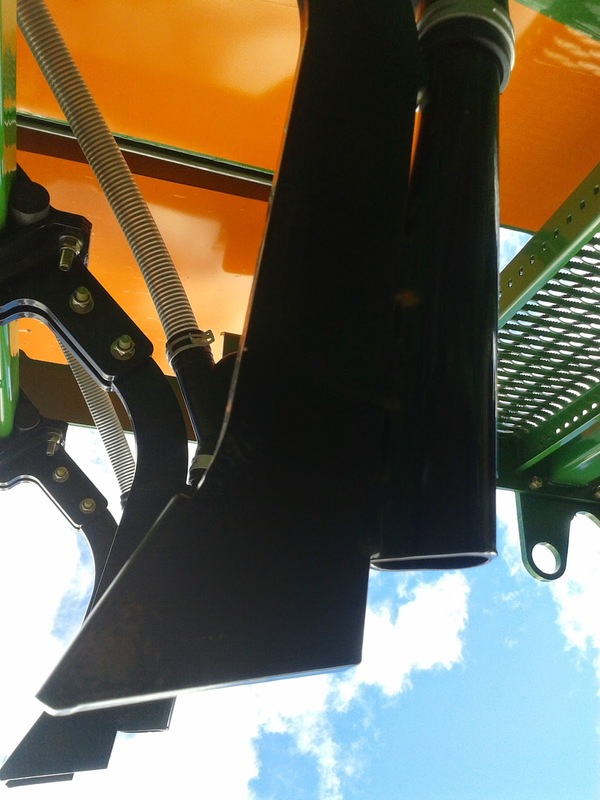 As they commented us and as you can see in their pictures, the Amazone Cayena tine 6001-C seeder is a machinery executes their perspectives. 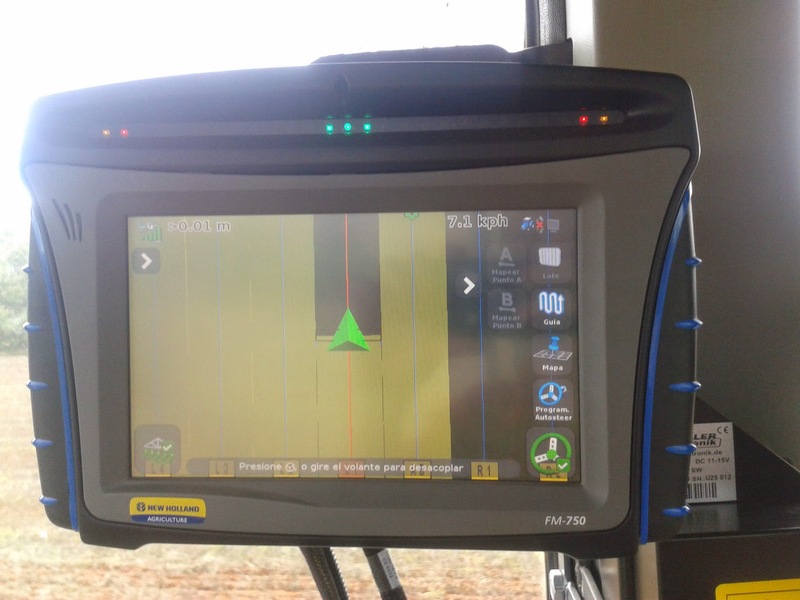 As you know, we don't perform direct seeding so direct seeding on sunflowers stubble pictures are really interesting for us. 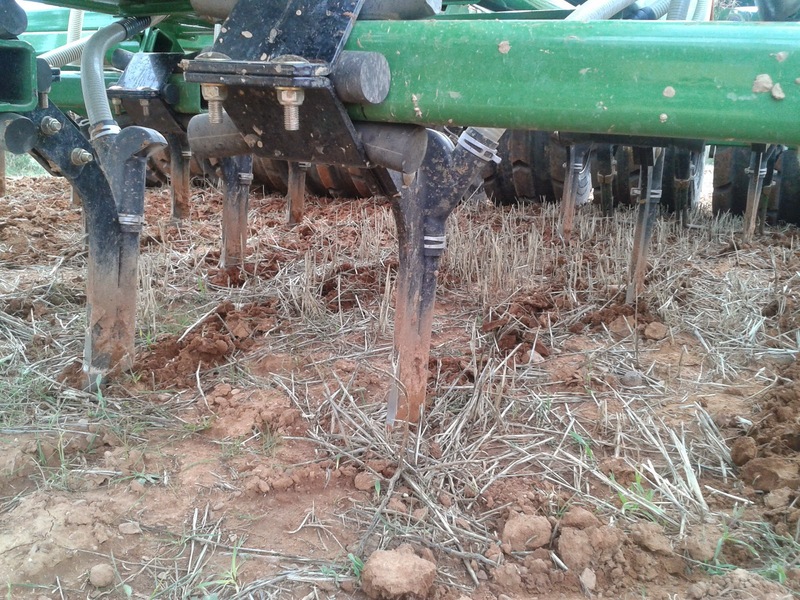 We spoke about direct seeding in others posts (we published a post about our friend Diego's Claydon seed drill of direct seeding and other post about minim​um​ tillage when we spoke about the our friend Alberto's Horsch Pronto DC seed drill) but we think in this case is the best way where we can see this seeding technique. 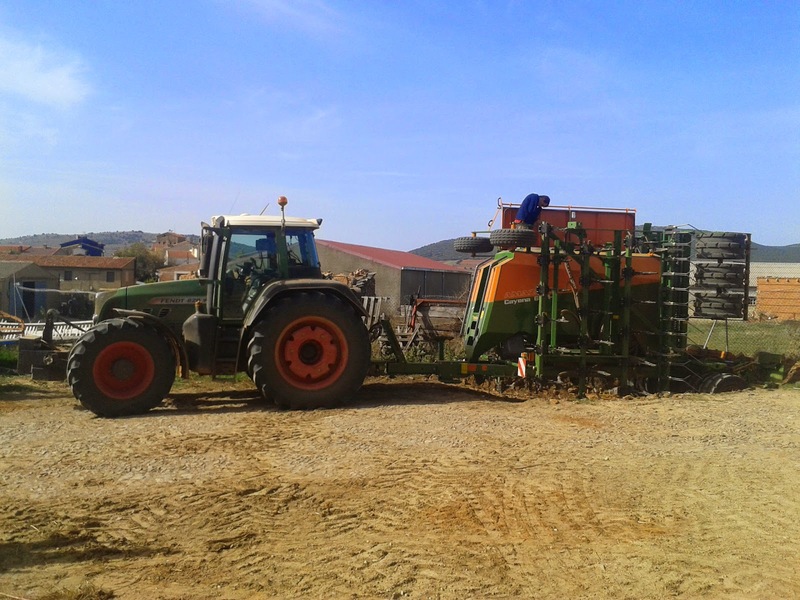 This seed drill has two hoppers (4,000 liters tank) to fertilizer and seeds... it can unload about 2,500kg of fertilizer and 1,200kg of seeds (e.g. barley). 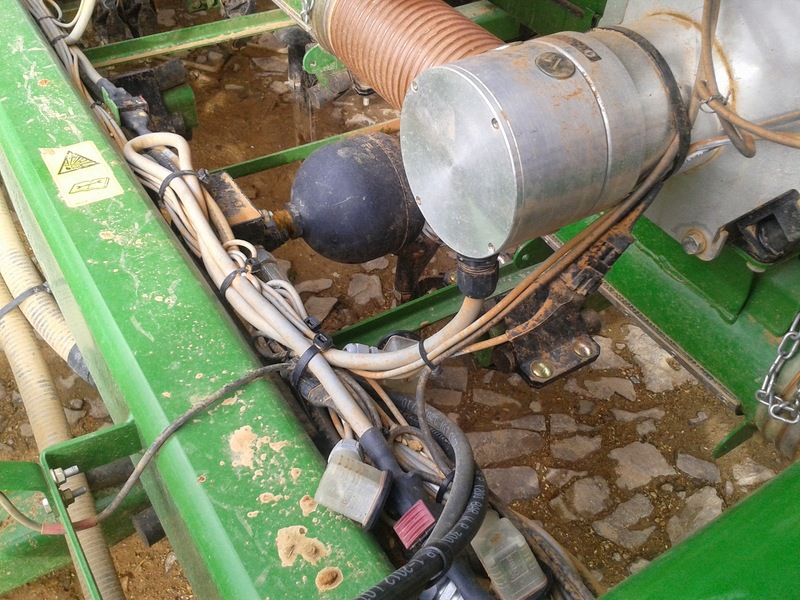 The dose used was about 300kg/ha of 12-24-12 fertilizer and 220kg/ha of barley. 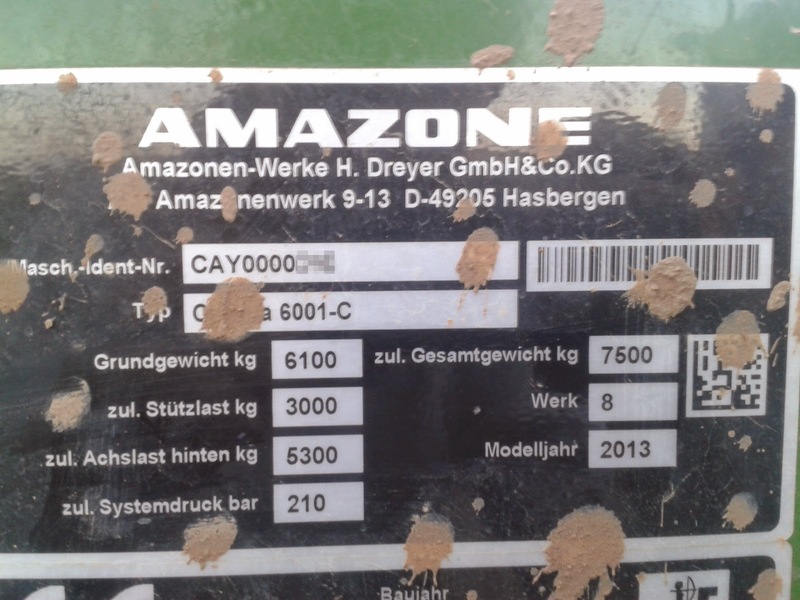 They highlight the working speed can be between 6km/h and 15km/h... Amazone Cayena can work pretty fine at high speed. 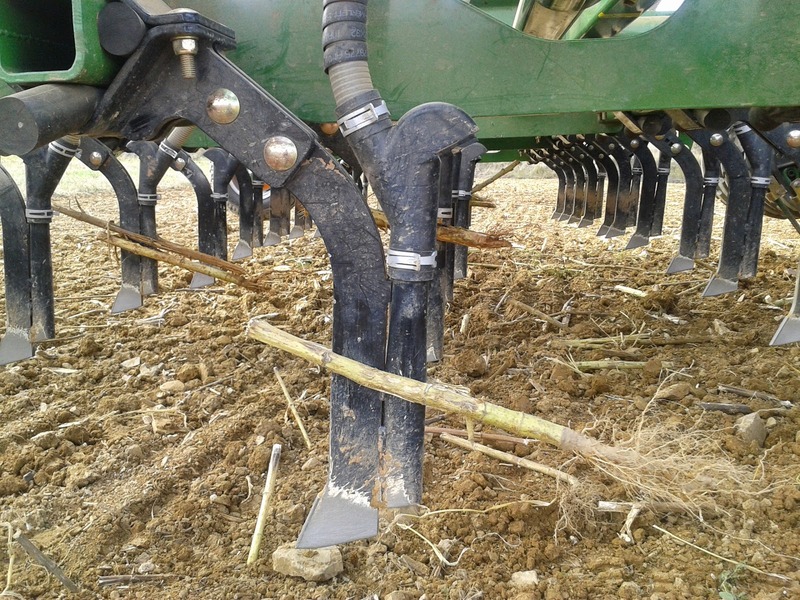 The working width is of 6 meters because it has 36 rows and the distance bettween them is of 16.6cm (it uses the same pipe to put seeds and fertilizer on the ground)... the Fendt 820 works very fine as you can see in their pictures and the Trimble EZ-Pilot assisted steering system allows them to carry out a work easily and quickly. 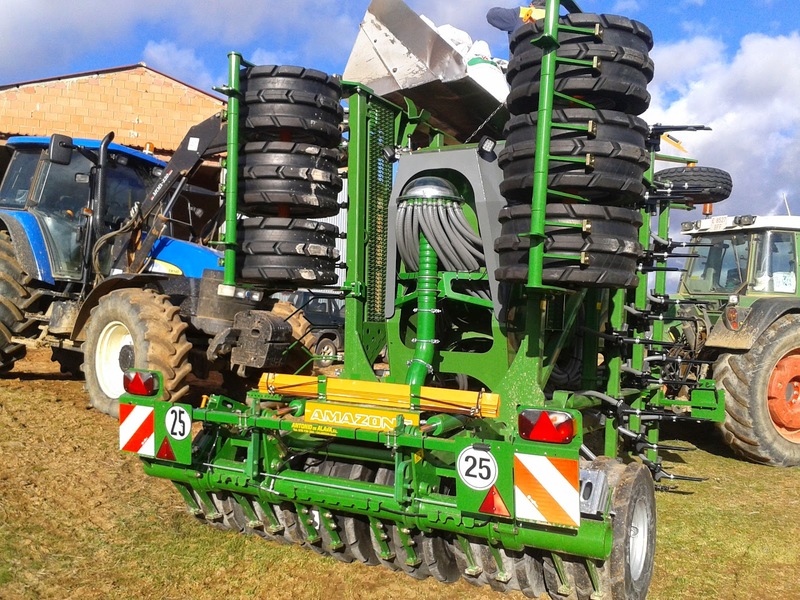 Finally, the Amazone wedge ring tyre roller, consisting of 12, 800 mm diameter tyre elements, follows the exact harrow. The large diameter wedge ring tyre roller provides a very smooth ride and at the same time serves as the integrated running gear. 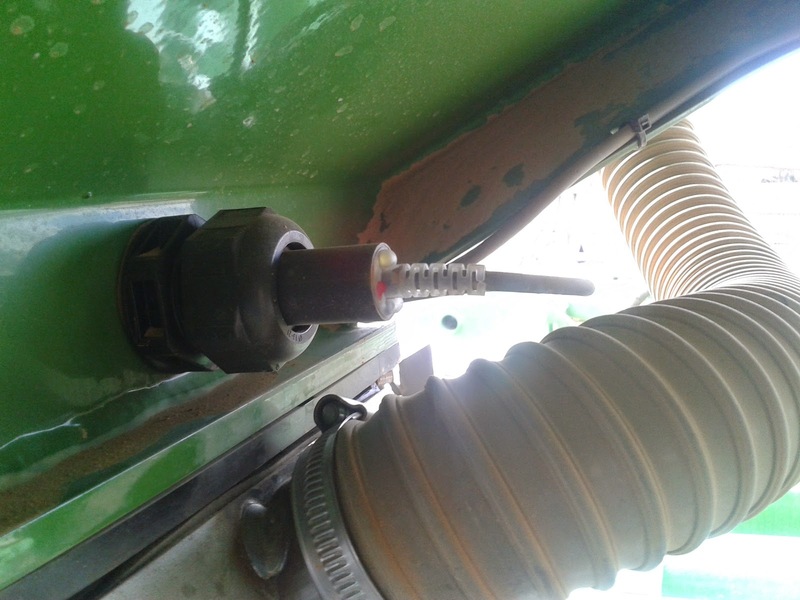 Thanks to the special profile, the wedge ring tyre roller reconsolidates the seedbed in strips, precisely and exactly above the seed sown. 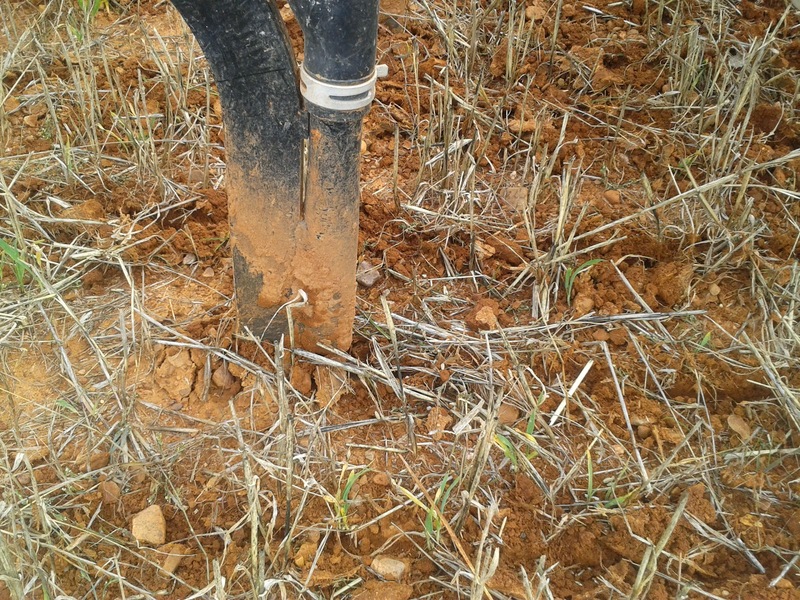 In this way, even in dry conditions, the optimum germination is ensured. 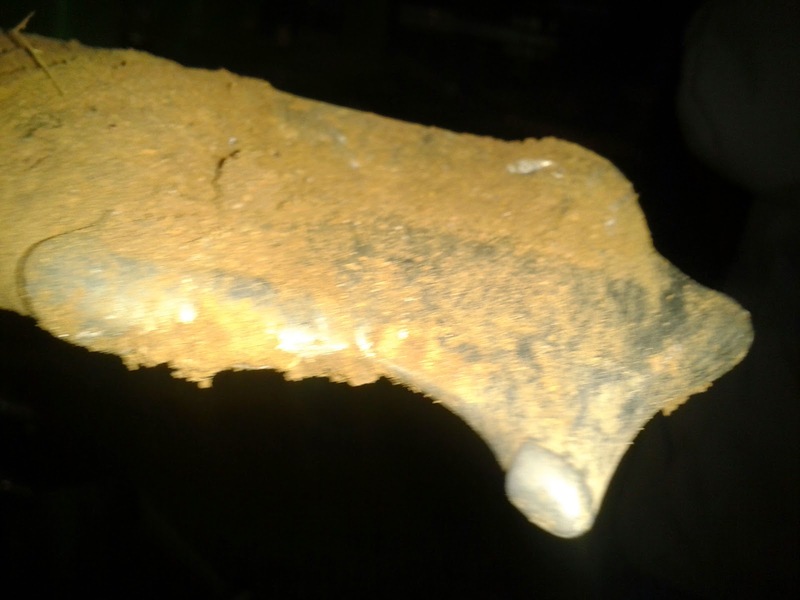 At the same time loose stones are pressed into the soil, so that a separate operational pass with a roller is no longer necessary. Scrapers on the roller prevent blockage and smearing in wet conditions.